The dynamics of the Ecklonia cava-associated microbiota in four Korean populations, Dokdo Island (DI), Ulleungdo Island (UI), Sangbaekdo Island (SI), and Seogwipo, were investigated to provide the initial data on E. cava-bacteria interactions in different localities. A pyrosequencing 454 analysis of the bacterial 16S rRNA genes was carried out, and the obtained sequences were analyzed by bioinformatic methods. The Chao 1 index showed that the bacterial community richness was highest in the Seogwipo population, which contained more highly abundant bacteria than the other populations according to the ACE index. The Shannon diversity index showed that the UI population was highly diverse. Bacteria of the phylum Proteobacteria were most abundant in all four populations (49–94%). Fifty-two genera were identified in the four E. cava populations. The microbiota at DI was dominated by Granulosicoccus (17.33%) and HQ845450_g (10.67%); HQ845450_g (11.67%) and Rhodobacteraceae_uc (7.50%) were abundant in the UI population; HQ845450_g (25.32%), Streptococcus (11.39%), and Desulfomonile (11.39%) were dominant in the SI population; and Vibrio (44.91%) and AM259833_f_uc (16.37%) were dominant in the Seogwipo population. The genus Granulosicoccus was found in all four groups. The microbiota in E. cava are largely dependent on the algal location, because only three bacterial operational taxonomic units (OTUs) were commonly found among the 850 bacterial sequences from four E. cava populations. The microbiota differences among the E. cava populations may contribute to seaweed forest conservation strategies at different locations. 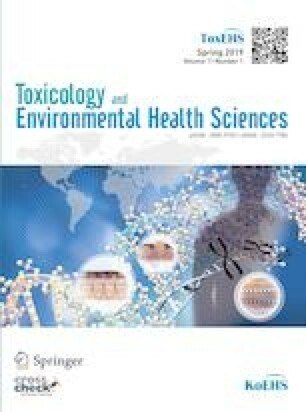 Supplementary material is available for this article at https://doi.org/10.1007/s13530-019-0383-7 and is accessible for authorized users. This research was supported by a grant from the Ministry of Oceans and Fisheries of the Korean Government as “A sustainable research and development of Dokdo” project. de Oliveira, L. S. et al. Molecular mechanisms for microbe recognition and defense by the red seaweed Laurencia dendroidea. mSphere 2, doi: https://doi.org/10.1128/mSphere.00094-17 (2017).